These replacement Artic Coils are available with a resistance of 0.2 ohms or 0.5 ohms *** Wa.. 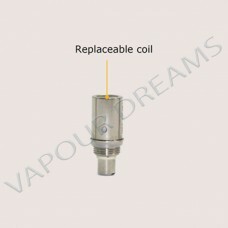 These replacement Aspire BVC Coils are available with a resistance of 1.6, 1.8 or 2.1 oms and are su.. These replacement Aspire Cleito 120 Coils are available with a resistance of 0.16 ohms and are suita.. These replacement Aspire Cleito coils are available with a resistance of 0.2 ohms or 0.4ohms and are.. 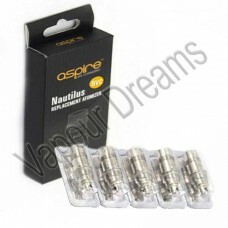 These replacement Aspire Nautilus BVC Coils are available with a resistance of 1.8 ohms and are suit..
Nautilus X coils are now rated at 1.5 ohm (14-20 watts) and 1.8 ohm (12-16 watts). These new aspire .. These replacement Aspire Triton coils are available with a resistance of 0.3 ohms, 0.4ohms or 1.8 om.. The Triton RTA kit is a simple and easy to use system to allow owners of the Triton to build coils. .. 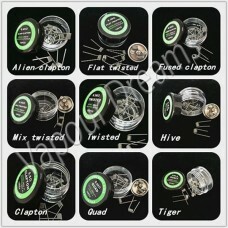 These genuine replacement Innokin Coils fit Innokins 16b or 16d clearomisers. The coil can be easily.. 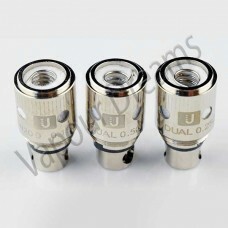 These genuine replacement Innokin Coils fit Innokins IClear 30. The coil can be easily replaced by e.. These replacement Innokin BVC coils are for the Innokin slipstream tank and the Kroma kit only.Speci.. 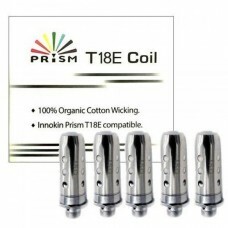 The Innokin Endura T18E Coils 1.5 ohm BVC for the Prism T18E Tank used in the Endura T18E Vaping Kit.. 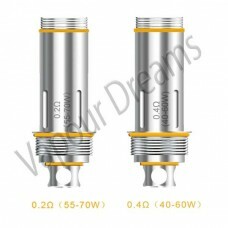 The Kanger Coil's have a restistance of 1.8ohms and are compatible with all of the below Kanger clea.. 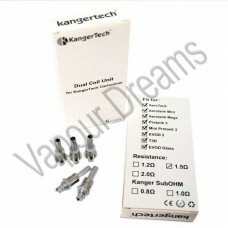 The Kanger Dual Coil's have a restistance of 1.5ohms and are compatible with all of the below Kanger.. These replacement Kanger SSOCC are suitable for The Kanger Subtank, Kanger Toptank & Kanger Nebox. .. These replacement Kanger Subtank V2 Coils are available with a resistance of 0.5 oms, the vertical d..
A great selection of pre-made coils, each machine engineered to provide consistent quality at afford.. 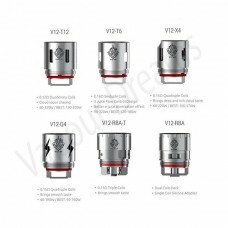 The Smok TFV12 is a powefull vapour producing clearomiser, please select which replacement coil you .. 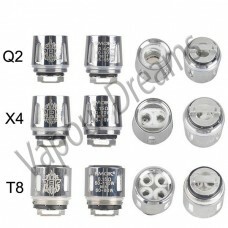 The Smok TFV8 has a range of coils to suit your needs Smok TFV8 Coil Options T8: Octuple Coil .. 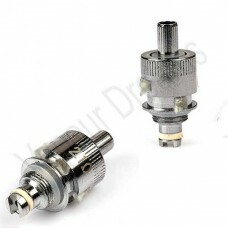 These replacement coils are for the Uwell Crown and come in a range of resistance levels. These are ..